What are Overseas Contingency Operations? The Overseas Contingency Operations (OCO) fund - sometimes referred to as war funds - is a separate pot of funding operated by the Department of Defense and the State Department, in addition to their "base" budgets (i.e., their regular peacetime budgets). Originally used to finance the Iraq and Afghanistan wars, the OCO continues to be a source of funding for the Pentagon, with a fraction of the funds going to the State Department. Since the OCO fund has very little oversight and is not subject to the sequestration cuts that slashed every other part of the budget in 2013, many experts consider it a “slush fund” for the Pentagon. For example, Todd Harrison, senior fellow for defense studies at the Center for Strategic and Budgetary Assessments, found that the Pentagon was stashing an estimated extra $20 billion worth of non-war funding in the “operation and maintenance” accounts of its proposed 2014 war budget. Even Secretary of Defense Ash Carter has recently called the OCO "a road to nowhere." 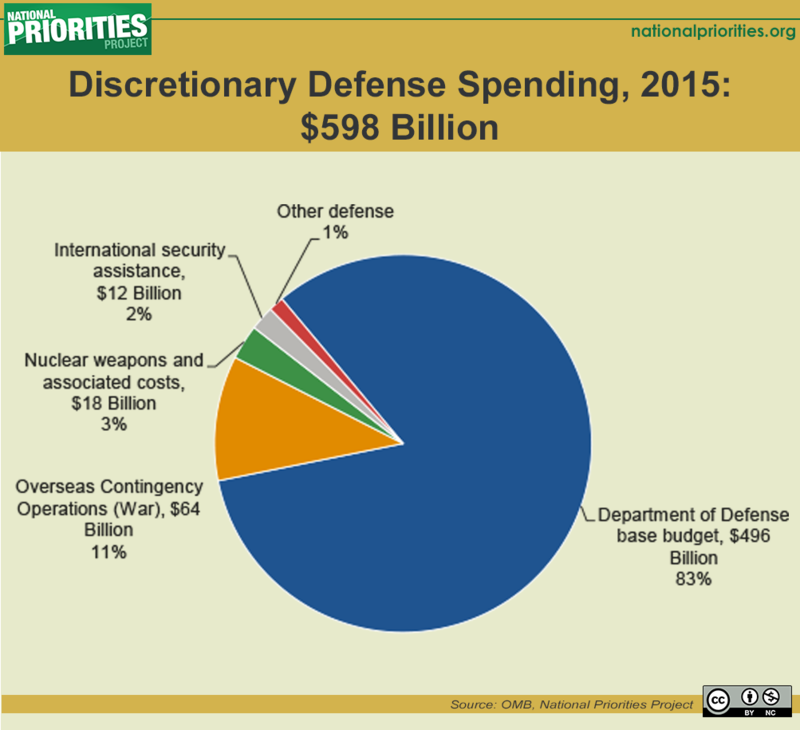 In FY2015, the U.S. will spend $64 billion through the OCO, in addition to its $496 billion Department of Defense base budget. For FY2016, lawmakers passed a budget deal that includes a $59 billion slush fund that will bring total Pentagon spending over $600 billion. More on that here.